With two goals in Buffalo’s 5-3 win over the Pride on Saturday, Beauts forward Taylor Accursi has been named the NWHL Player of the Week. Accursi scored the Beauts’ second goal of the game off a beautiful feed from Corinne Buie early in the second period to put the team up 2-0. In the third period she tallied another goal and extended the Beauts' lead to 5-1 after she picked up a rebound. Accursi has been a rookie sensation this season, taking the league by storm. She leads the league in goals with 5 and has a 41.7 shooting percentage. She signed with Buffalo on July 5 after completing her collegiate career at Mercyhurst. Accursi had her finest season at Mercyhurst as a senior in 2016-17, finishing tied for second in goals and points, with 9 goals and 14 assists for 23 points in 35 games. The 5-8 forward from Ancaster, Ontario developed in the Burlington Barracudas program. 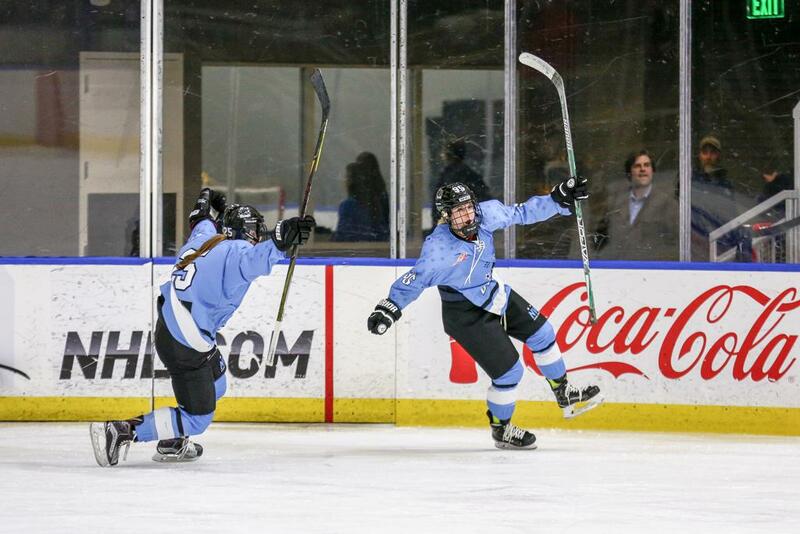 Accursi and the 2-1 Beauts look to be the first team to give the Riveters a loss when they host them at HARBORCENTER on Saturday at 7:30. "Getting the win on Saturday gives us some momentum,” said Accursi. “We need to build off of it when we face the Riveters on Saturday"!